Where to find the Text Book Pin! 1. 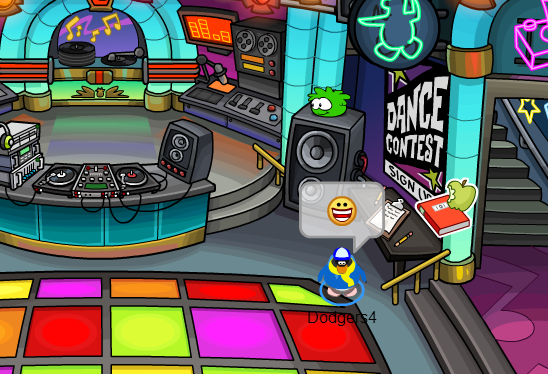 Log onto Club Penguin and choose any server. 2. Open your map and waddle to the Dance Club. 3. Click on the Text Book Pin. 4. You found the Text Book Pin! Place it on your player card if you wish! This pin looks really cool! I love how Club Penguin added a munch on that apple, haha. What do you think? Do you like this week's pin? Leave your comments below.